God has provided two trainers using the “No place left” from e3Partners, which is in partnership with MGPanama. Here are a few reports provided from the field. 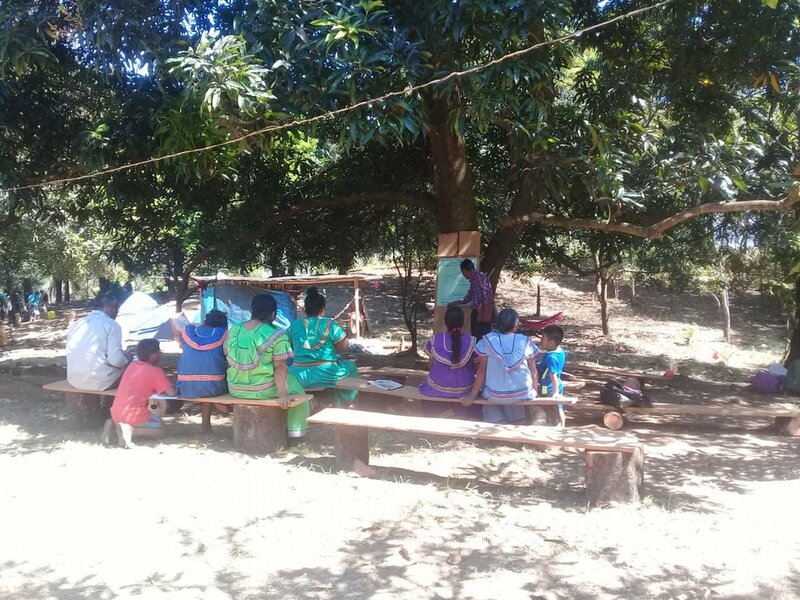 We had the practical NPL (No Place Left) training on church planting using the Four Fields / Three Circle Sharing at the village named Zapote, District of Besiko, at the Ngobe Reservation. 15 people received the training and went out to evangelize; we were able to see 10 professions of faith after sharing the Gospel 19 times. The participants found the model easy to follow, now we need to continue to do the touches with them on the follow-up that these new souls need. In one of our hut visits we met a lady that had an infection on one of her legs, we prayed for her and we saw how God healed her in Jesus name. Wonderful things happen when you go out and share. Thanks so much for supporting us on this journey of serving our Lord. 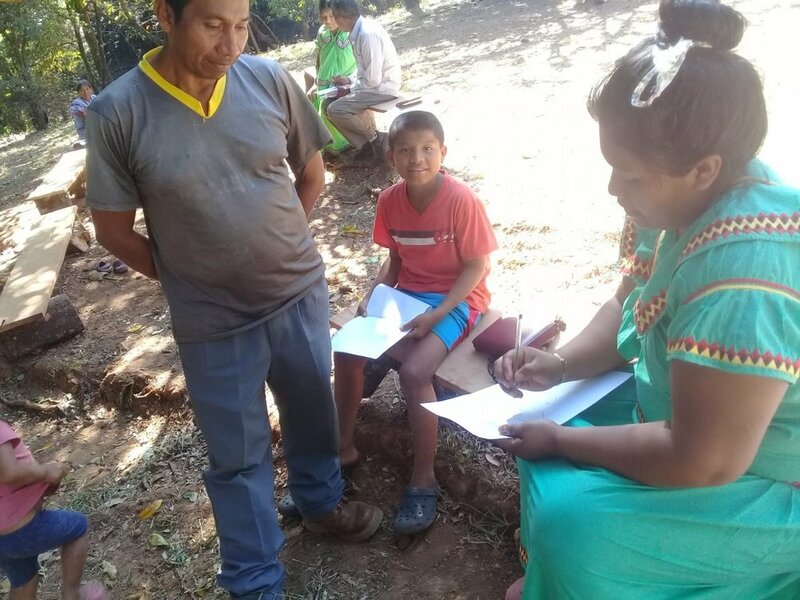 Our trip to Darien in search for the Woonan-Saija people group started great, we were three and among us was a person from that same people group, his name si Diego and he meets at a church which the ministry has started many years ago and continues to serve them. We were able to travel by road (7 hours) to Yavisa and then by a 4x4, but during the rainy season has to be by “piragua” (boat). The ministry was in Darien for almost 4 yrs, training and serving the different churches alongside the Tuira and Pinogama River until 2008. Our visit to 7 villages was such a blessing, because Diego has either family or has a good testimony in the area. There are 2500 people in this 7 villages and approximately 10%-15% area believers. The biggest church in the area is the A.D Church and whose pastor is Pastor Agapito, he is supervised by Pastor Vanega from Panama City. We noticed that in some villages the church meeting place closed down due to the lack of proper trained workers but we found 3 persons of peace. They all are open to be trained, villages like, Union Choco, Capeti, Boca Cupe and others. 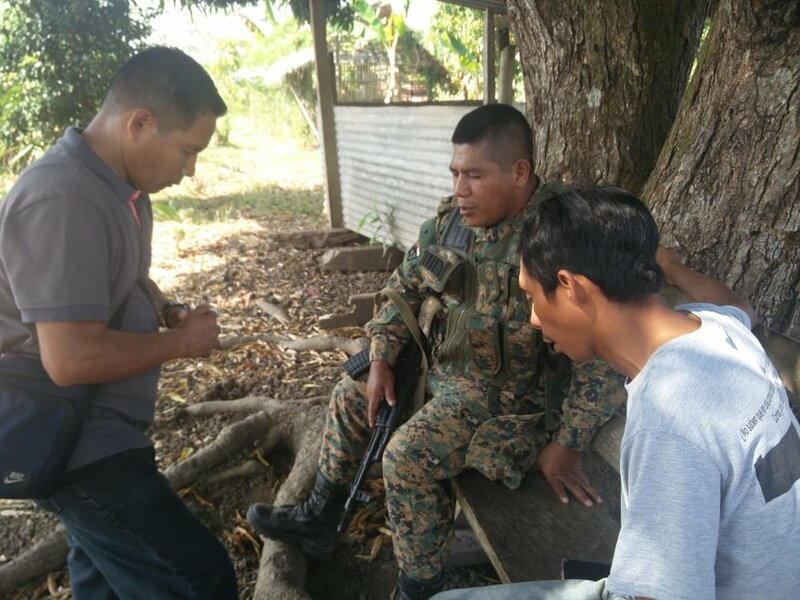 In all these areas drugs is a big problem, keep in mind that this area is close to the Colombia border and in many cases are villages on the way of transporting this drug. On our way we witnessed to people and God gave us a harvest of 8 POF, was not the purpose but is the duty of a follower of Jesus. In this second touch on the previous training given to this Pastor and his church was such a blessing to see how open and teachable they are. We could notice that since they started some years ago with e3, in the last years they have hardly gone out to evangelize. We were able to visit the three homes in three areas, where they are starting home churches, each area is about 15 mits away from each other; at our arrival to each home we modeled the 3/3 as a tool to disciple. Even, one of the families built a “racho” hut in order to hold the meetings there. God gave us the opportunity to pray for a paralytic man, also to encourage to keep strong in the faith. Also, late afternoon we attended a meeting where we met the pastors that Pastor Jorge supervises. Plans are being made and a date chosen in order to come and train the pastors. Also, since the international teams are not coming, a national team is being put together by sister Talsy in order to come and model and serve these pastors. Blessings and may God keep on blessing you all. Pastor Heitor and Pastor Enrique.